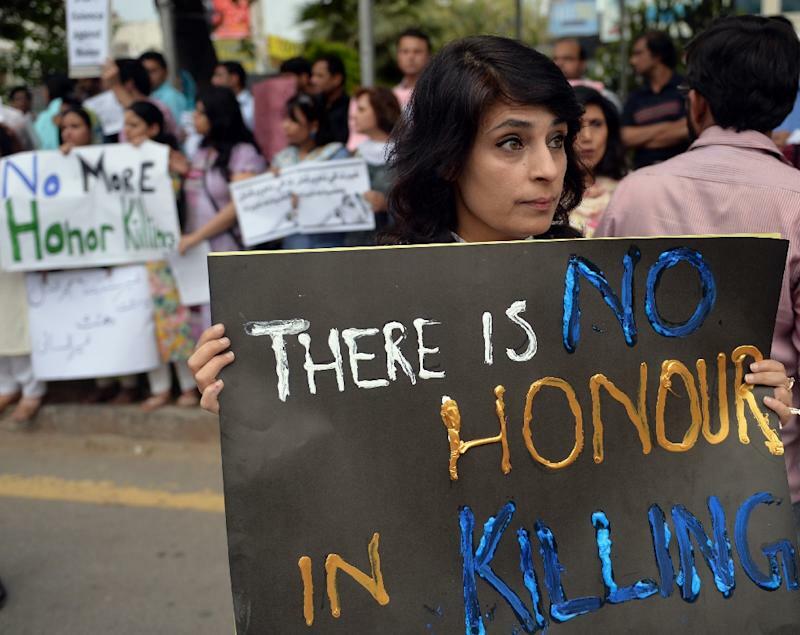 A Pakistani man and his father have been arrested in the country's latest so-called "honour killing" after they set the son's wife alight for leaving the house without asking his permission, police said Sunday. Siddique and his father then beat Bibi before dousing her with petrol and setting her on fire in Central Pakistan's Muzaffargarh district on Friday, Azam said. Bibi had been married to Siddique for three years, during which time she had suffered repeated domestic abuse for the couple's inability to have children, Azam said. "We have arrested the husband and father-in-law of the deceased woman and charged them for murder and terrorism," district police chief Rai Zameer-ul-Haq told AFP. The charge of "terrorism" is regularly applied in such cases so as to expedite the legal process. Hundreds of women are murdered by their relatives in Pakistan each year through domestic violence or on the grounds of defending family "honour".